By Melissa Lennig on May 23, 2015 10 Comments. This content contains affiliate links. As an Amazon Associate I earn from qualifying purchases. 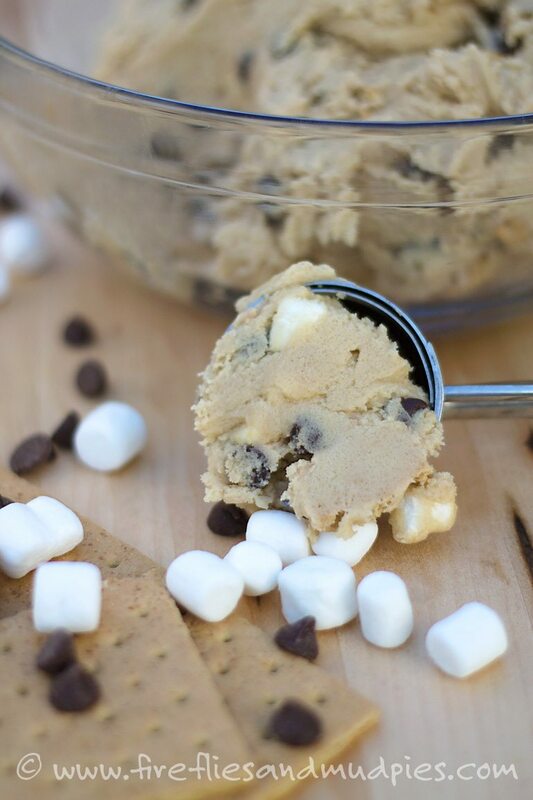 This past weekend, I combined two of my favorite things—baking and camping—into an amazing, gooey cookie. S’mores Cookies are the perfect combination of crisp graham cracker, sweet chocolate, and soft marshmallow. My family devoured them! Do you like to camp? We sure do! I don’t often share about it on this blog, but my family is a Camp Family. My husband and I met while working at a residential summer camp and now since he’s a Summer Camp Director, that’s our life! My boys spend their summers outside and surrounded by amazing leaders and kids, from all over the world! Their favorite camp activities are horseback riding, land sports, hiking, playing at the waterfront, and of course, roasting S’mores at campfire! This recipe requires no wood, flame, or roasting sticks. 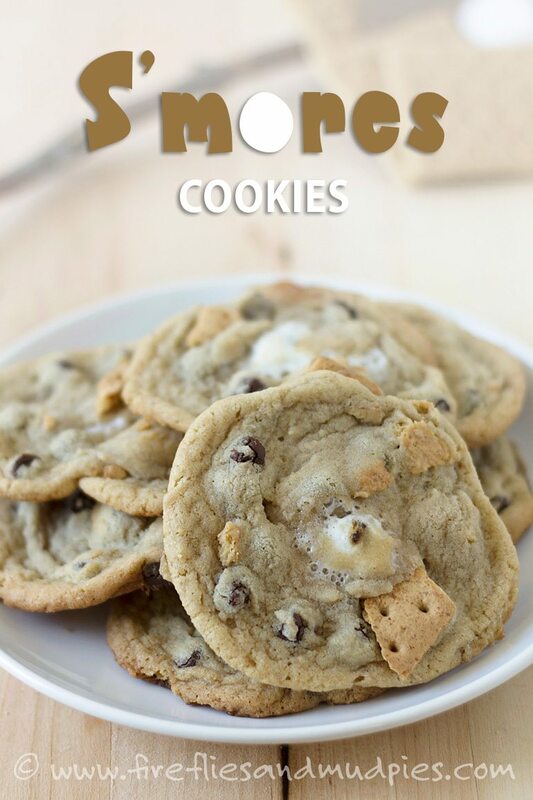 Instead, the marshmallow puffs, melts, and caramelizes in the cookie dough! 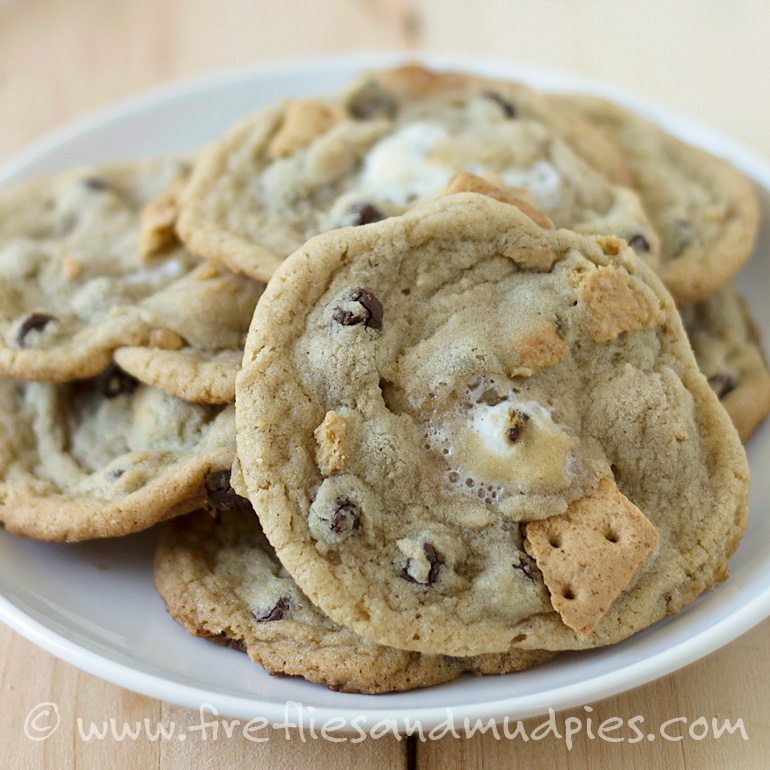 Golden marshmallow, creamy chocolate, crunchy graham cracker IN A COOKIE! Need I say s’more? Cream the sugars, butter, vanilla, and egg in a bowl. Stir in the flour, baking soda, salt, chocolate chips, marshmallows, and graham crackers. Drop the dough by rounded tablespoonfuls (ok, I used about 2 tablespoons of dough!) on a parchment-lined pan. Bake 10 minutes or until light brown. NOTE: The marshmallow may caramelize on the edges of cookies. This is okay, as it tastes just like caramel! Some favorite camp activities to enjoy with your cookies! 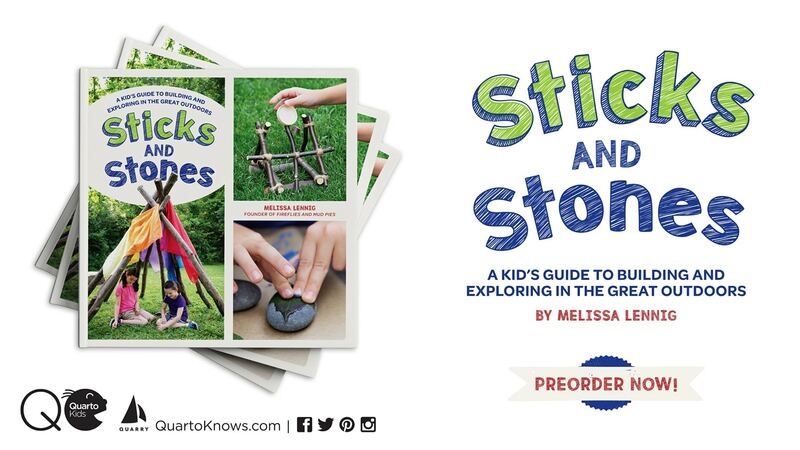 Make a nature-inspired tic-tac-toe game out of materials from the forest floor! Use fabric paint and leaves to customize your very own nature shirt! Collect bark from the forest floor and create adorable bark owls! Stay up a late and enjoy this classic summer activity as a family! This post contains some of my tried and true tips for taking nature walks with kids! Get outside and get into nature! Wow!! Those sure do look yummy. 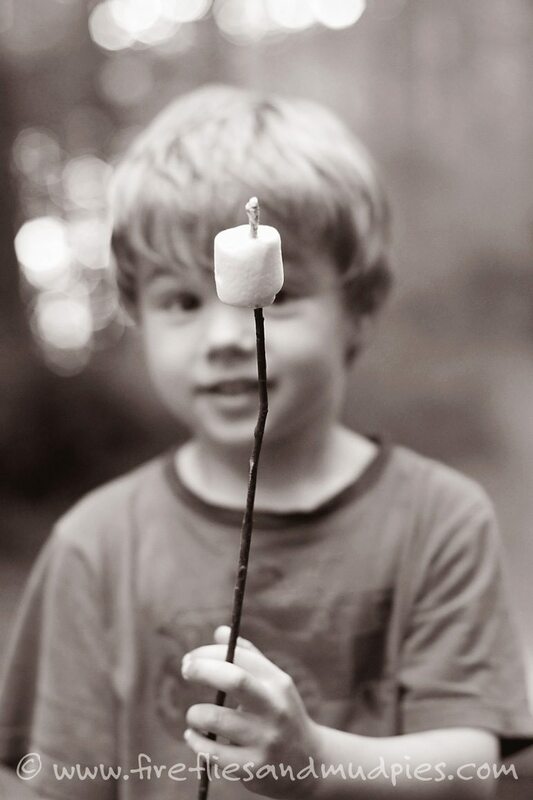 Since my family loves smores, I know that I’m going to have to make at least one batch of these real soon. this was a great recipe!! I just made them, they are delicious 🙂 except my dough was pretty dry, so i added in an extra egg, making it two eggs 😀 Thank you so much, my tummy and kids thank you! Yumm, these look delicious! I will have to give these a try very soon. 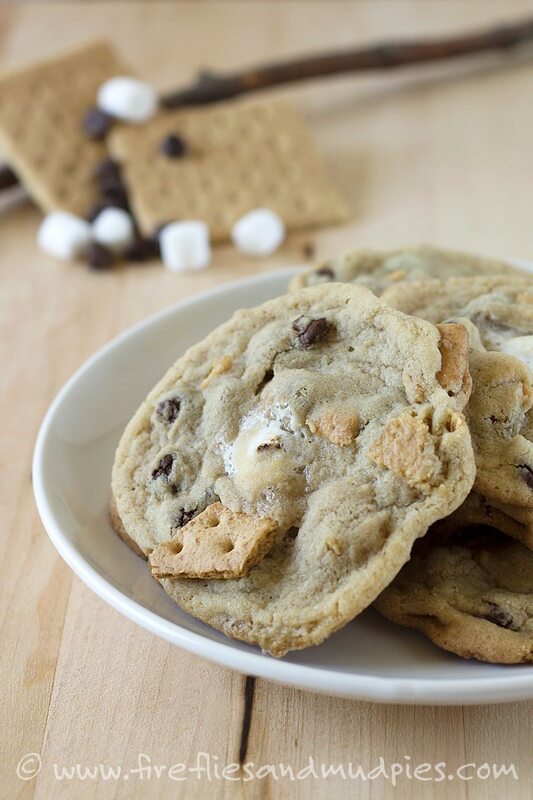 What could be better than cookies and s’mores combined? Nothing. Would you be interested in teaming up with Chicory and becoming a recipe partner? Wondering if you could use golden grahams cereal in place of graham crackers?